Carpe Diem – Part 2 – When God Shows Up! We looked at the first part of the equation last week – Facing that we are in an impossible situation – Frustrated that those with the resources and authority are inactive – Finding a friend who shares your vision – Faithfully risking to show God’s glory – all of this is a simple example of what is found throughout the scriptures – God expects us to walk in faith by taking risks of faith. Today, we will see the second part of the equation, when God finds people willing to take the risk of faith and join HIM in HIS work, he then shows us to do the work – to demonsrate His glory and strengthen OUR faith for the next time. 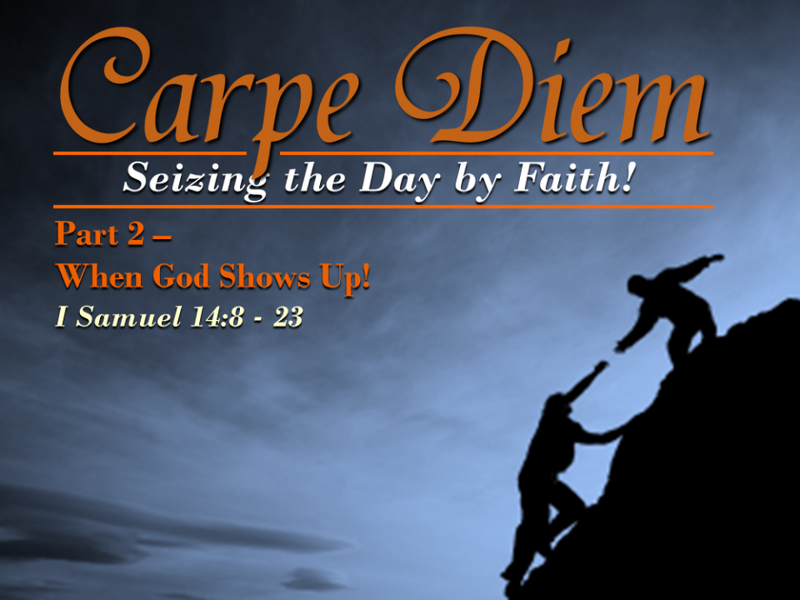 Carpe Diem: Seize the Day by Faith!